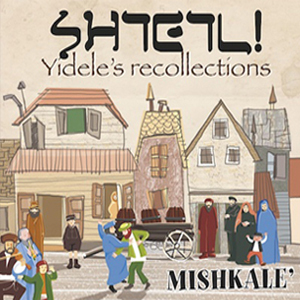 Mishkalè 'conveys an intense energy and recreates the atmosphere of the gypsy festivals, excited with the poignant klezmer melodies. It involves the audience with the rhythms of the dances of Eastern Europe and the fascinating stories of the shtetl, the Jewish village, with all its characters. They deal with sounds from Eastern Europe for about fifteen years. Mishkalè Appear as a typical Eastern European orchestra, seven musicians overflowing with energy dances heady, swirling and fast. Outside the box and clichès Mishkalè move between sounds and genres with the happy freedom of the "nomadic musicians" only Pursuing Their Own inspiration to create an eclectic music, open and curious. Without borders and limits of any kind in a continuous play on the edge of the unpredictable. The impression of style and sound have Mainly centered on the repertoire of klezmer music, recalling the atmosphere of the gypsy festivals and sweeping rhythms of the dances of Eastern Europe. This is a sign That the Jewish cultures and countries of East have Always Been in contact in a kind of mutual exchange. The Mishkalè project was born in 2001 from an idea of Sergio Appendino, a musician fascinated by Eastern European traditional music. 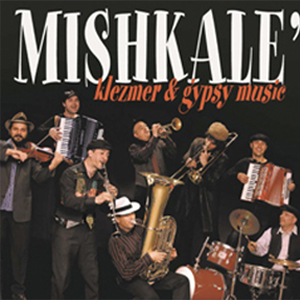 In 2005 the first CD Mishkalè Klezmer and Gipsy Music was released: a project with a band of 8 members. 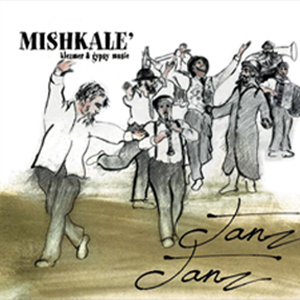 In the following years Mishkalè have modified the band and chosen a style and sounds mainly focused on klezmer, sometimes including traditional music from the Balkans. This was to testify that Jewish and Eastern European cultures have always been in contact by means of constant exchanges. In 2010 releases his new CD: "Tanz Tanz. Mishkalè have played hundreds of concerts in various Italian cities and in Switzerland. Among the most significant performances reminiscent of their participation in the Festival. Folk Festival on the Plan of San Vigilio, Solstizio d'Estate Festival in Pruno of Stazzema, Pollenzo Mon Amour Festival in Pollenzo and the International Day of Jewish Culture in Vercelli, the celebrations for the sixtieth anniversary of the State of Israel in Turin, all in 2008. The following year they performed at Vercelli to the International Day of Jewish Culture in Turin and attended the celebrations for the sixtieth anniversary of the State of Israel. There are also numerous partnerships with associations for the production of theatrical productions and shows. with the theater company Onda Teatro, Company "Il Pelobate"
Sophie Scholl, Monaco; Duccio Galimberti and Italia Libera, Cuneo; Hannah Szenes, Yugoslavia; Emanuel Ringelblum, Warsaw; Friedl Dicker Brandeis, Prague ... In universities, ghettos and mountains throughout Europe, many resisted nazifascism by taking up arms, offering shelter to the persecuted, deceiving the centers of power. The Courage of Liberty is a musical narrative that recalls the stories and faces of those who knew how to distinguish good from evil and courageously opposed the war and atrocities of the regime, giving meaning to life and the value of freedom. Recital "There is nothing to be afraid of"
the project was conceived for the celebrations of the "Memory Day" but can also be found in the form of a thematic show on Jewish music and life just before the Second World War. An intense and exciting show, a mixture of voices and music with the dreamy rhythm of the book, a bit surreal and ironic; a touching photograph of Jewish life before the war the painful story of a wound that has not yet healed. Taken from a masterpiece of twentieth century literature, signed by the Israeli writer of Romanian origin, Aharon Appelfeld. Text for the theater: Maria Teresa Milano Music: Mishkalè (with arrangements by Andrea Verza) Advice: Sarah Kaminski. Torino, Le Ginestre, KLEZMERANDO '18 "L'altro Balkan"
Your message has been sent. We will contact you as soon as possible!